That just about perfectly sums up this past week. It literally poured almost every day and I'm okay with that. I'm starting to become the type of person who looks for the silver lining in things, slowly, but, surely. I'm also not that affected by gloomy weather because I find it cozy, IDK, I guess I'm a weirdo like that lol. 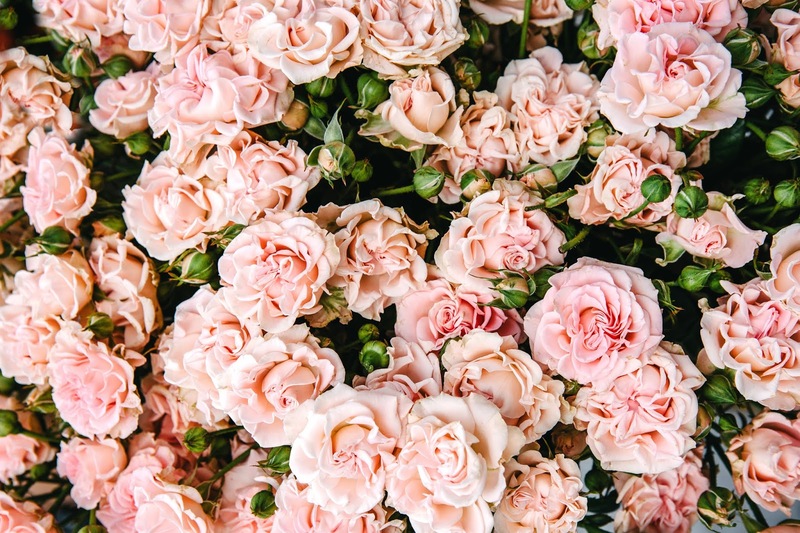 Flowers are the complete opposite of what you would think as gloomy and that's what I love about them. Even in the rain, flowers radiate like the sun. Optimism is something that I'm trying to incorporate more into my self-care routine but not in a naive Pollyanna sort of way. When I say optimism, what I really mean is that attitude of trying to find a silver lining in everything. I feel like the more you see that the good and bad in life can coexist, the more grateful you become about your life. I've read a lot lately on gratitude and often that is interlaced with optimism. The reason they often intersect one another is the more gratitude you exercise in your everyday life, the more optimistic your disposition naturally becomes. Some of the happiest people in the world say they practice gratitude every day, so there has to be something to it. 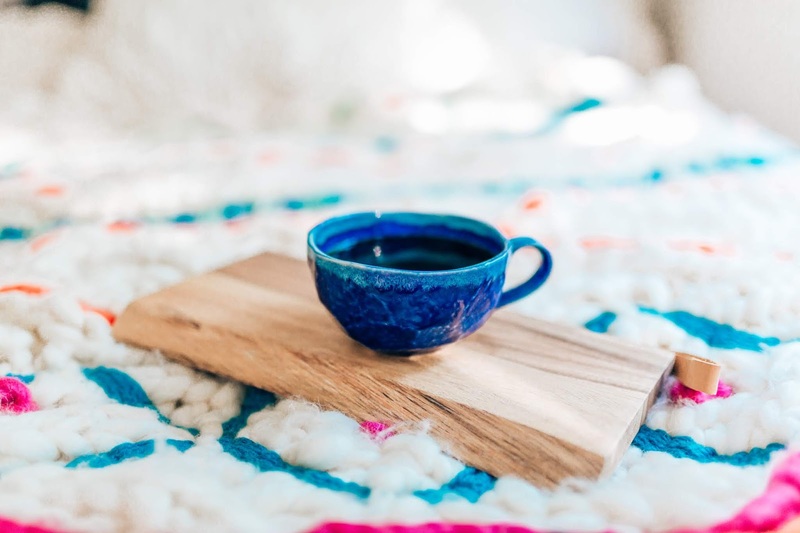 A lot of people see self-care as treating yourself better, being kinder to yourself, and while that's definitely very important, just as important is gratitude. If you think about it, how many times have you woken up ready to start your day and not given a single thought to how lucky it is that your breathing. 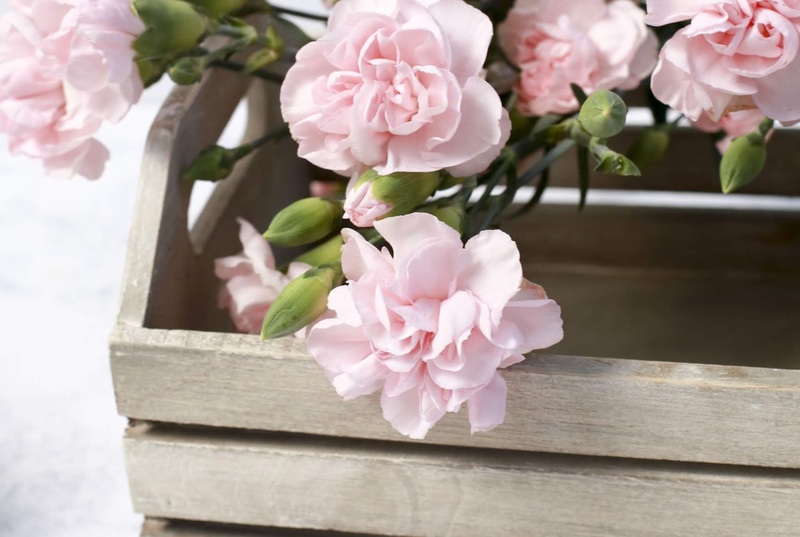 You were blessed to wake up and get to see beautiful flowers in the bushes. That is gratitude at it's finest. Whew! That's the best way to sum up this past week. I spoke about anxiety in my last blog post, but no, that was nothing compared to this week. I don't know why my anxiety has been so bad lately, honestly. Racing thoughts have consumed me almost every day for almost the past month and I guess you could chalk it up to me not routinely practicing my CBT therapy, but sometimes, it's hard for me to pinpoint what kind of thoughts I'm having if that makes any sense. One of the reasons psychologists tout CBT therapy as one of the best methods along with medication for anxiety and depression is because it retrains your brains thought patterns. A big part of why anxiety and depression happens is because you think irrational thoughts. Irrational thoughts are recurring thoughts that have no basis of fact. CBT therapy is aimed at retraining those intrusive thoughts by asking questions regarding those intrusive thoughts, like, "do I know this to be a fact?" and often the answer is no. Where I have problems regarding this kind of therapy is, sometimes, I will get a bad feeling, the kind where your heart races constantly and you feel out of breath but there won't be a thought attached to it, so at that point, I don't know how to implement CBT therapy. I've noticed that often times, the people in my life are a constant source of stress. It's difficult when you have family members in your life that you love and care about and your constantly worried about them, but you know there's nothing you can do. These sources of "stress" (and I use this term very lightly because I know stress and anxiety are two different things) tend to build up over time and affect my mental health very negatively. I can remember a time years ago when I went on vacation with my family and I freaked out because they wanted to stop at a restaurant on the way back home. I refused to go inside, stayed in the car and hyperventilated and at the time I had no idea why I reacted that way. Years later I would come to realize that the reason why I reacted that way was because I was having a panic attack. I guess all of this is to say that I want to make conscious efffort to work on my therapy and this post is a good reminder to do that. 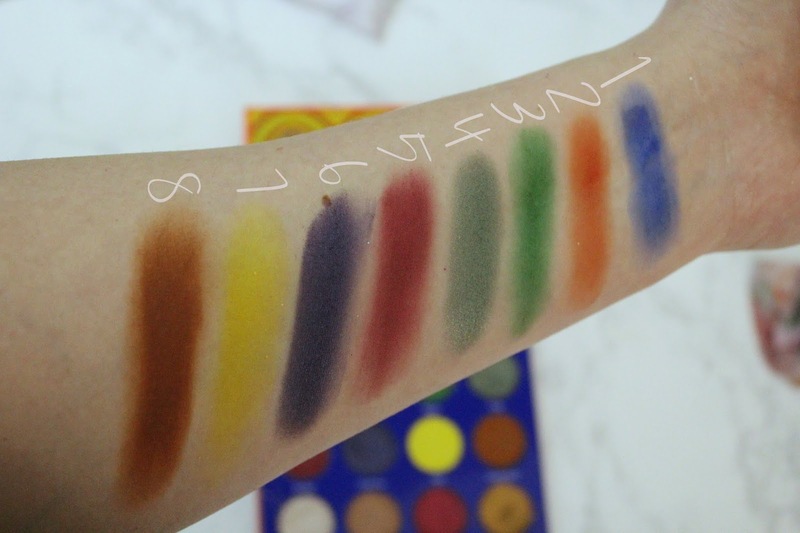 I was recently on the prowl for a good colorful eyeshadow palette that was more on the affordable side, but I couldn't seem to find one that had all the colors I wanted, plus being pigmented, plus being affordable and after almost giving up, I decided to take a crack at Amazon. I know, I know, Amazon is the last place you would think to search for makeup products, but they actually have a pretty diverse selection. Once I had scanned the pages for a while, I finally found one palette that looked promising. I think one major key to picking beauty products on Amazon is to read the reviews and even better make sure you look at customer submitted photos. A combination of the two will almost guarantee you don't get jipped. I've obviously never heard of this brand before but surprisingly, they exceeded my expectations. As you can see, the palette is dual-sided with more earthy tones on the left side and the more vibrant colorful tones on the other. It comes with a plastic film so that you don't have to worried about some of the shades mixing into the others on the opposite sides. It also comes with a magnetic clasp that makes it seem more secure in the palette. This side of the palette has a beautiful mix of coppers, bronze, dark chocolate browns as well as more warm toned browns. Some of the shades swatched a little bit patchier than others. 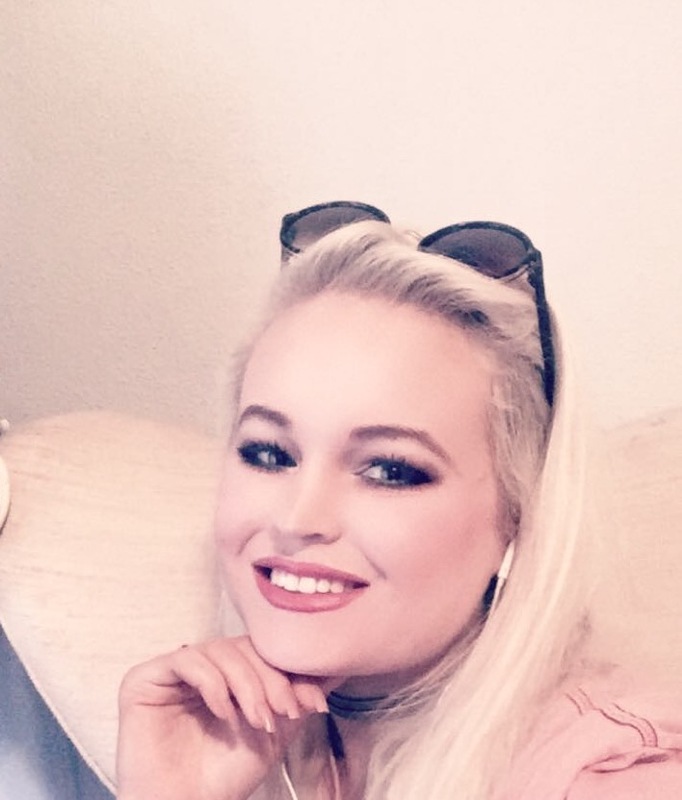 What's really great about them though is the many options of tones available, you could easily use some as transition shades as well as for everyday natural makeup looks. On to the more colorful side now, this side of the palette was perhaps the most surprising to me because it's the more pigmented side. That really shocked me about this palette because certain colorful shades are really hard to formulate, or so I've heard. 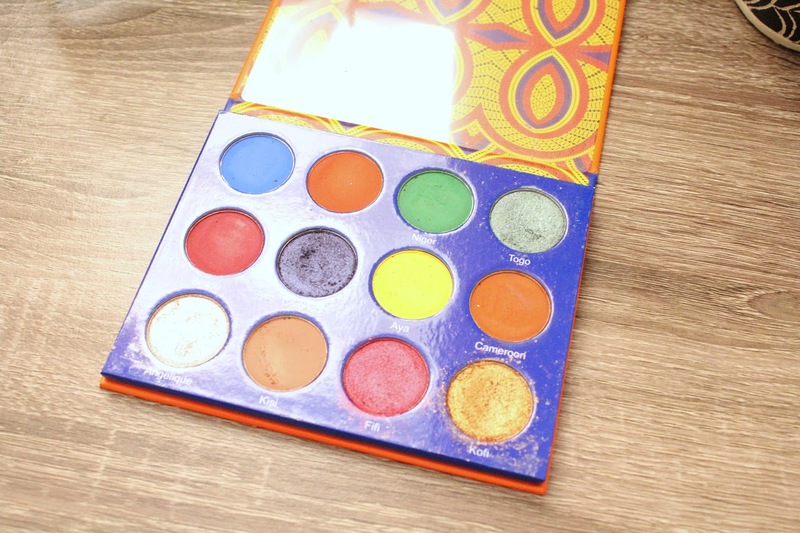 There are so many beautiful vibrant shades of oranges, blues, greens, reds, and purples as well as some super delicious shimmer shades. They are THAT good that I would stoop to describe them as delicious lol. I'll stop rambling on and let the photos speak for themselves. Because let's be real, that's probably the only thing you care about lol. 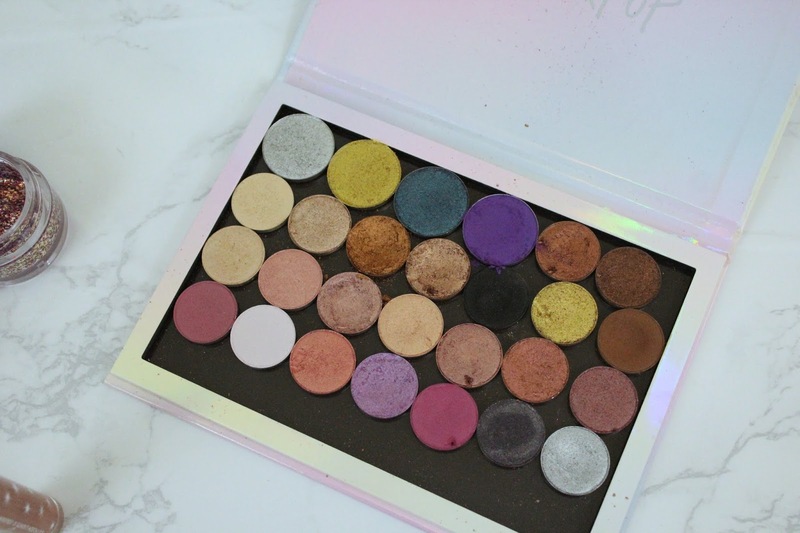 I would definitely say this palette is for you if you like creating colorful and playful eyeshadow looks. 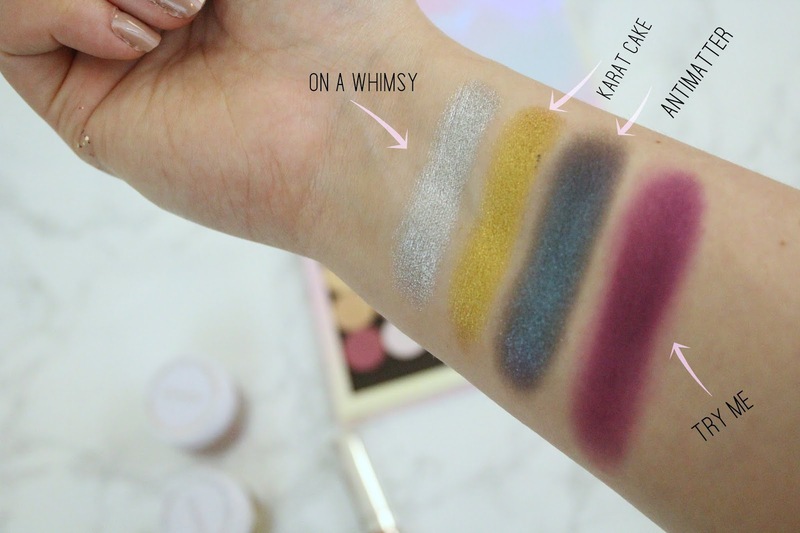 Also, I know some people are apprehensive when it comes to buying products from certain "influencers" or youtubers, and this palette could keep you from having to do that. What new makeup product have you discovered from Amazon? Have you ever tried a makeup product from Amazon? Bet you weren't expecting a post from me on a day like today haha. I've made a few purchases lately and I couldn't wait to share them with you so I thought, "why not post them now?" As you might've noticed from my posts recently, I've become much more conscious of what products I'm putting on my skin. 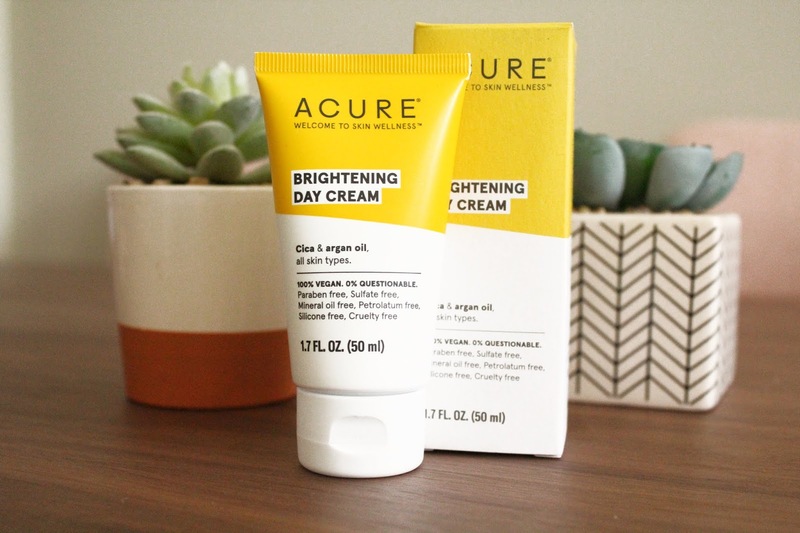 I heard some good things about the skincare line Acure recently and I thought I might be them a try. Not to mention the fact that my aging skin was desperate for me to buy some sort of moisturizer. My biggest issue when it comes to choosing what skincare products to try is finding products that are free of the "nasties" that a lot of skincare products today have. I see so many people talk about different brands that are part of their skincare staples, but if you looked on the ingredients list of those products, you would be shocked to find how many bad ingredients are listed. Fortunately, more brands are coming out of the woodwork to remedy this issue. One of those brands is Acure. This product is meant to brighten and moisturize your skin, so if you're on the market for a new moisturizer, give this one a shot! The best part of this product is that it's 100% vegan, paraben free, sulfate free, mineral oil free, Petroleum free, silicone free & cruelty-free! Oh, & did I mention that it has a great rating on the Environmental Working Group website! If that's not enough to sell you on this product. I don't what will! I still haven't tried it yet, but I will let you know how I like it the more I use it and update here with my thoughts. I know I've promised to update on products in the past and I didn't live up to my promise every time but I'm putting it in my calendar to make sure I don't forget to do it! If you've tried this product let me know your thoughts or tell your favorite moisturizer in the comments below! As you could probably tell from the title of this post, I've decided to start doing a new series here on my blog every Sunday. I was inspired to start this series partially because I wanted a reminder to myself to take time out for myself every week and partially because I wanted to know all the ways you guys practice self-care. In a world that is constantly becoming more and more difficult to live in, self-care becomes all that much more important. Starting out this Sunday, I'm taking it a little easy by just relaxing around the house. I have an essential oil diffuser that I like to turn on along with some relaxing music. This always helps a little with calming me after a stressful week. I will usually wear some sort of clay mask to detoxify and clear my skin of gunk, like the one I spoke about here. I don't talk very much about my struggles with depression and anxiety here on the blog mainly because it's not something I like talking about very much. Where I to release my intrusive thoughts is through journaling and meditating. I read about an exercise called morning pages from an author a while back and since then I try to put it into practice as often as possible. Basically, the premise of morning pages is that you write down three pages of thoughts that you have first thing in the morning and this practice is meant to clear your mind for the day. To be quite honest, I don't do morning pages every day, but I always strive to do a little bit whenever I can. In my opinion, how you start your morning sets intentions for the rest of your day. This may sound a little hokey to some, but I like it. As for meditating, this practice, I feel, is the most important of all because it helps your body and mind learn to relax more often. Most people know about apps like headspace and calm and I tend to like those kinds of guided meditations, but you don't necessarily have to use guided meditation. I find it helpful because my mind races all the time and these apps help to calmly bring your attention back to the practice. Meditating is also an area where I feel I could improve on because I don't do it as often as I would like. Admittedly, one of the reasons I don't journal or practice meditation that often is because I tend to check social media first thing in the morning and it's a bad habit that I hope to break. Along with morning pages, I hope to set intentions for social media usage going forward. My goal for the week ahead is to meditate more and journal with morning pages more. Also a reminder to those of us who are hard on ourselves....give yourself more credit and take it easy, you're doing the best you can! What ways did you practice self-care this week & in what ways do you show yourself more grace? 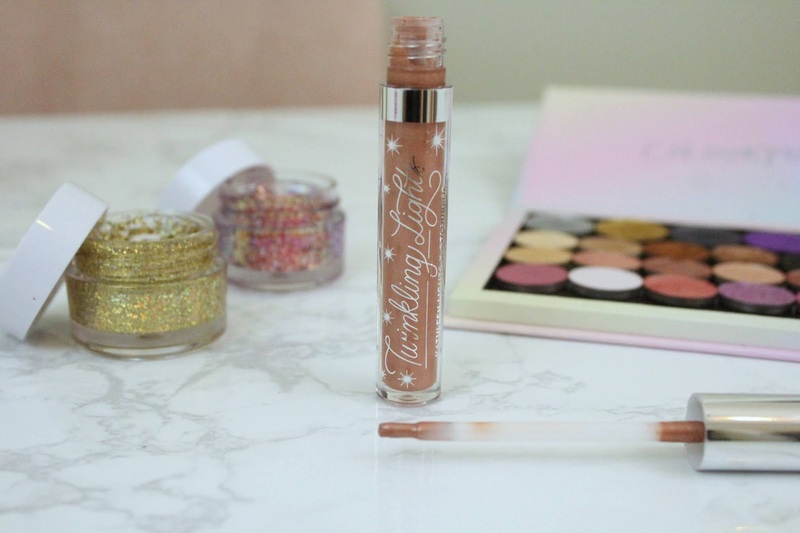 I'm back again for a short time for another makeup review! I purchased this foundation a few weeks ago and have been dying to review it. As you can probably tell from previous posts, I've wanted to make a conscious effort to incorporate more clean beauty products into my blog. Clean beauty is such an important topic b/c if you live in the United States, you probably are aware of just how little review and safety standards there are for beauty products. It's become such a problem that even Kourtney Kardashian has gotten involved. Anyway, I will continue to do more posts like this in the future to bring more awareness to this issue. However, today I'm just focusing on one product from a pretty cool brand I've learned about recently. 100% pure is a beauty company whose mission is to bring beauty products that are of the purest quality to consumers. A lot of their products are formulated with fruits for pigmentation. 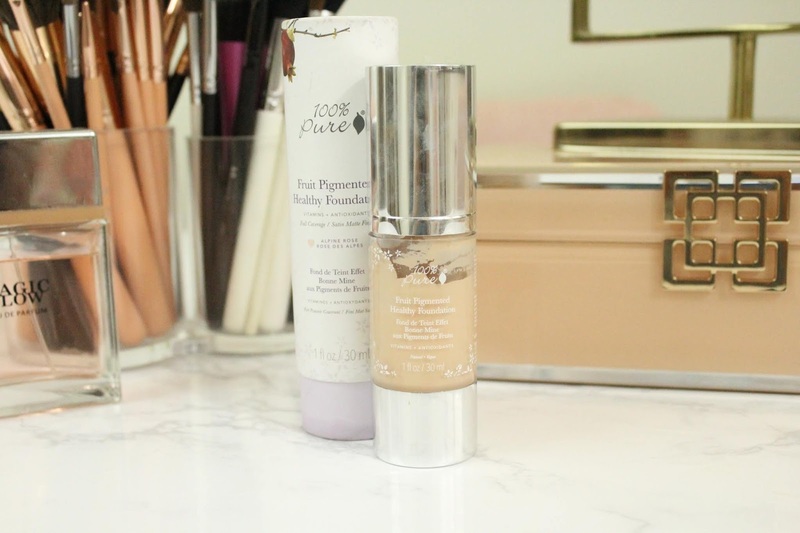 When I first tried out this foundation I fell in love with it because it made my skin look airbrushed! After wearing it for a while now though, I have noticed a few problems with the formula. First things first though, I love the smell of this foundation! It doesn't have a chemical smell like a lot of foundations typically do and in my opinion, that is a HUGE plus! Down to the formula itself, I still stand by my statement about this foundation making your skin look airbrushed, but I have noticed the color is off. I got the "lightest" shade they had called Alpine Rose and for it to be a so-called light shade, the color is very orange in tone. That is honestly the biggest problem with this foundation and I understand that they are working with fruit pigments but I should still be able to find a foundation that doesn't make me look like an oompa loompa. 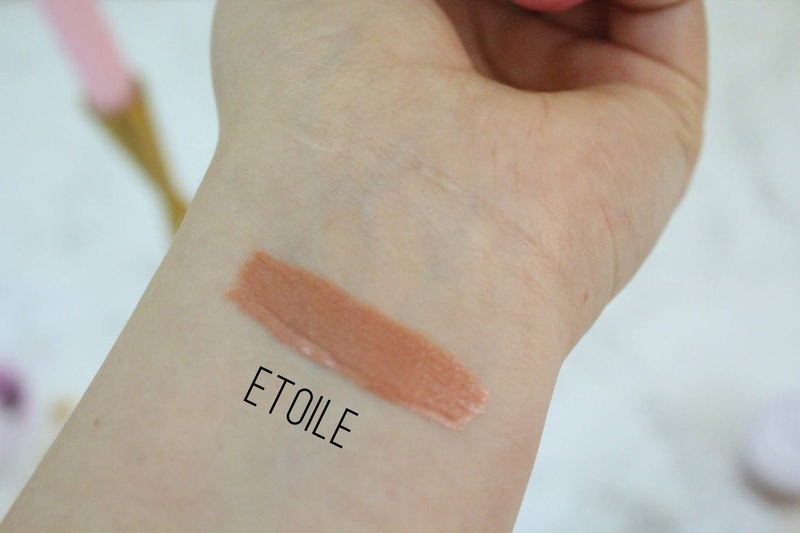 You can tell in the swatch photo above how far off the shade is to a pale skin tone and if a pale person has a hard time finding the right shade then you know its probably not going to work for people of color either. 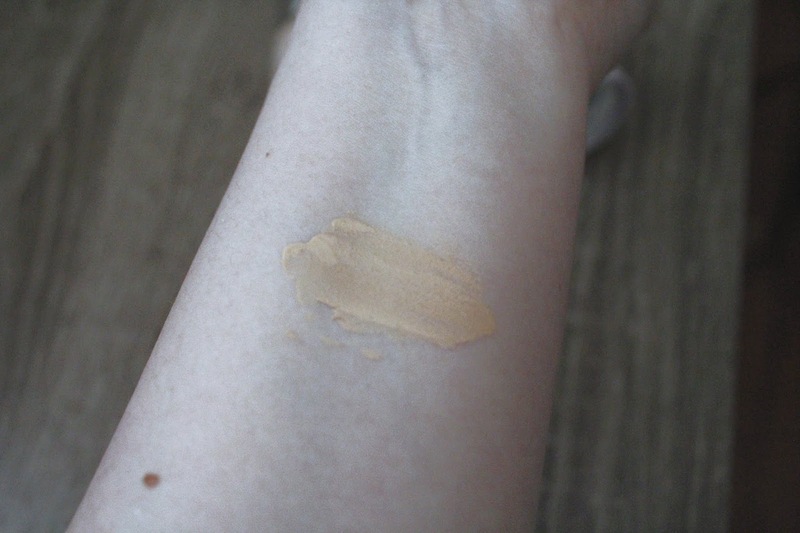 All that aside, if 100% pure can figure out a way to make the shade matches better, I feel like they could give some other popular foundations on the market a run for their money! Wow. Just wow is all I can say. I'm dumbfounded by how quickly 5 years pass you by. You know that at some point, you will hit milestones but you never really imagine it happening so fast. It almost feels like yesterday that I typed my very first blog post. I meant to do this post in January, but I got so bombarded with course work that I just didn't have the time to, but here I am two months later, so I guess it's better late than never, right? 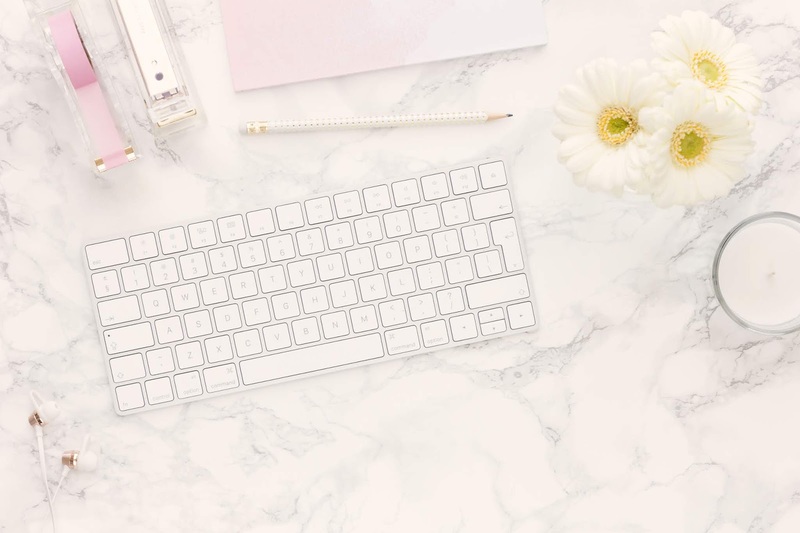 I've stated this before in my other anniversary posts, but it's worth mentioning again when I first started blogging I had no idea what I was doing. 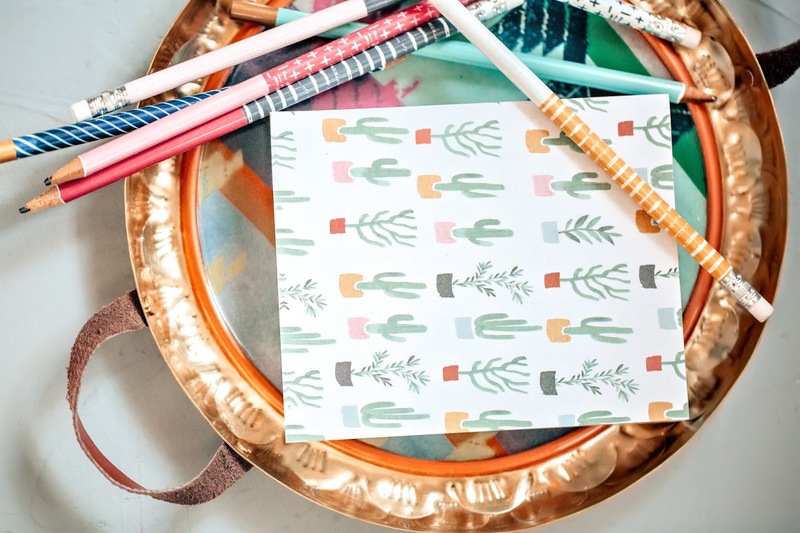 I so desperately craved an outlet to express myself and a blog just seemed like a perfect fit. Sometimes I feel cringey about some the of posts I use to publish and then precipitously want to delete them but I stop myself because I remember that it was a moment in time of my life and not only do I want to have a record of that, but it's also important to see how grown as a blogger and person. It's me again! But as you know, this will only be a brief return because I'm still in the thick of my college studies. Today I wanted to review a palette I got as a Christmas present last year and its one that I've had my eye on for a while! 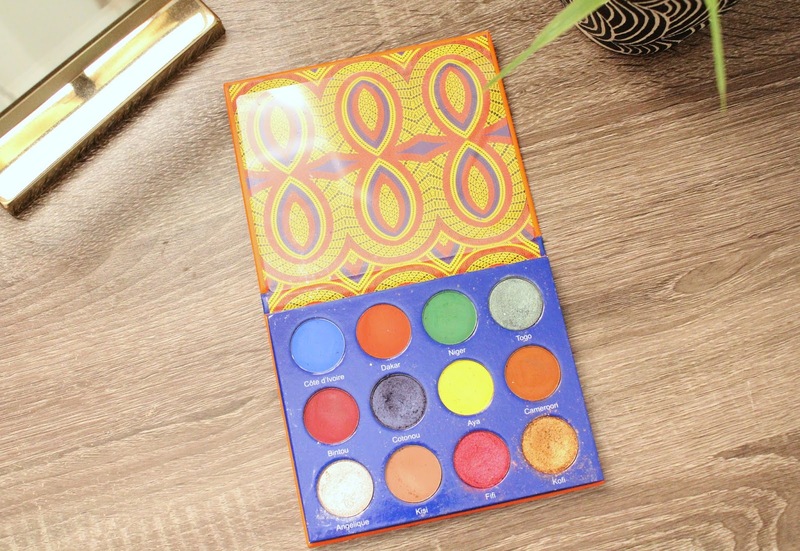 If you're a beauty junkie like me and you love nothing more than watching makeup tuts, you'll probably recognize this palette I'm talking about today. 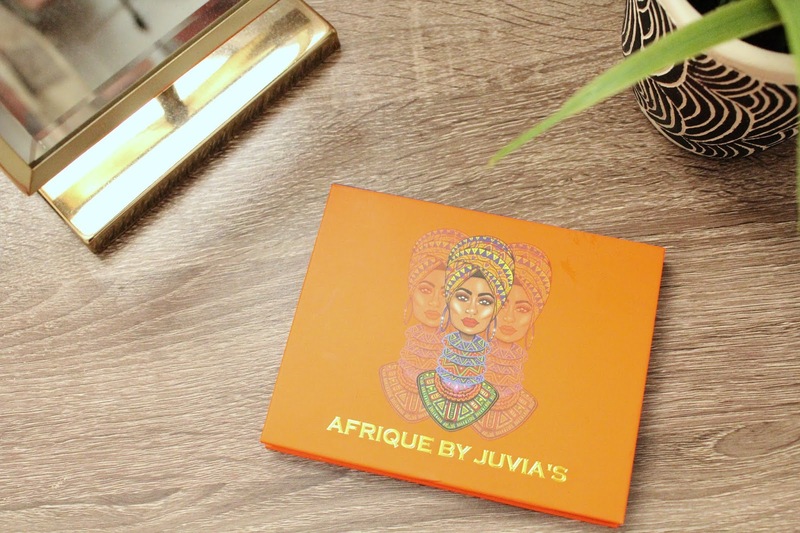 It's called the Afrique palette by Juvia's Place and I can't wait to tell you more about it! 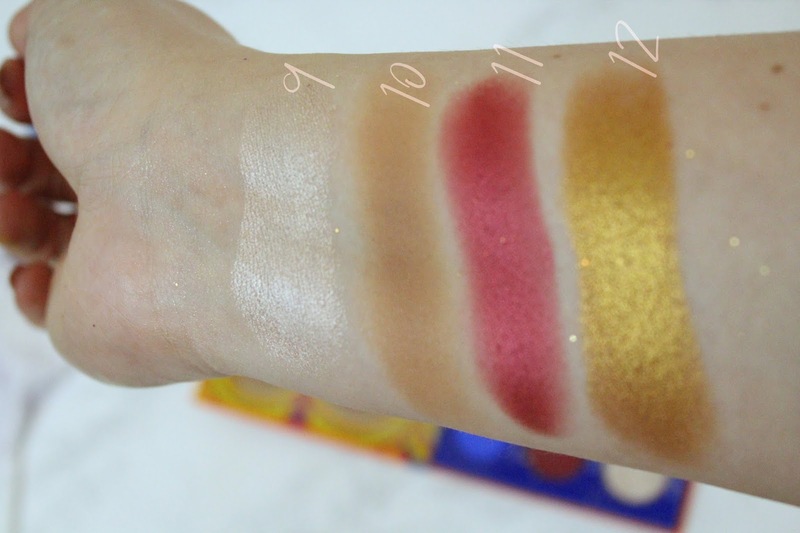 First off, I want to point out that many in the beauty community will tell you how unreliable swatches are and while that may true for the blendability, I do think swatches are great for see how the pigment looks with your skin tone. 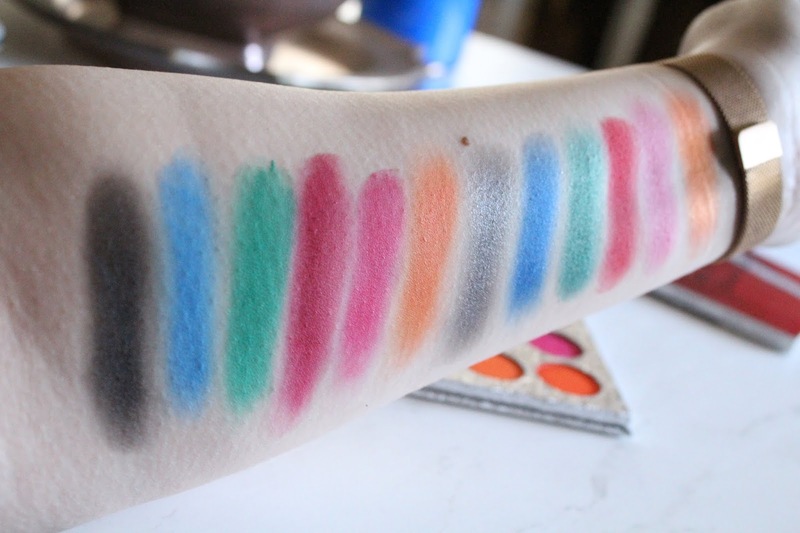 That aside, these swatches did look "patchy" with certain pigments, but when I went to apply with a brush on my lids, I found the formula to be much more forgiving. 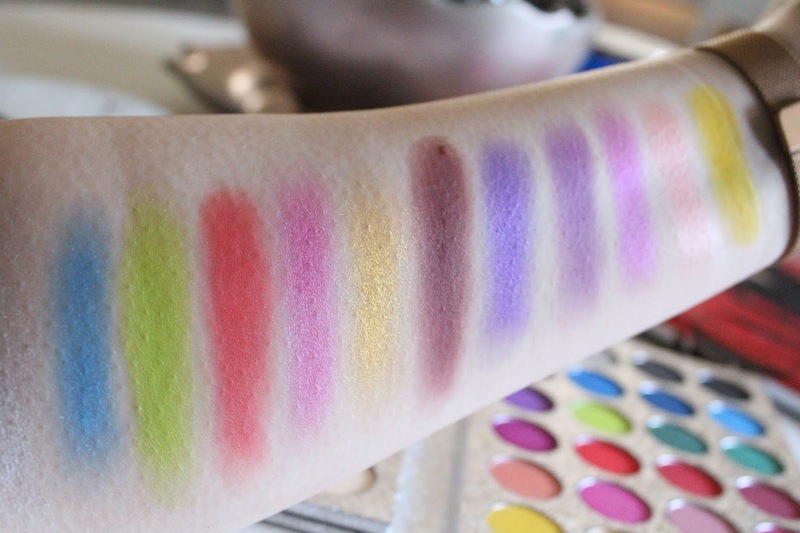 When working with these shades I noticed how pigmented and blendable they are. Nothing annoys me more than when an eyeshadow goes onto the eye patchy, but with this, you don't have that. I chose this particular palette because the shade range is so versatile so you could carry it with you anywhere and do just about any look! What really impressed me the most with this eyeshadow palette is the price point. It's super affordable, and if you know me, that's a major +! For future purchases (yes I will be purchasing more from them), I really have my eyes on the warrior 1 & 2 palettes and the zulu palette. If I can't perfect an eye look to the point where I'm comfortable posting, then I will for sure post to give you a more in-depth review. 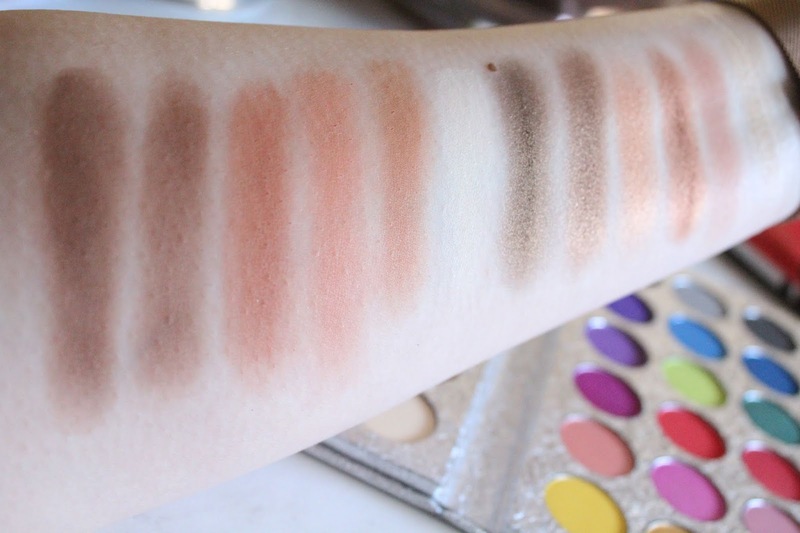 Which shades do you love the most out of this palette, and what kind of shades do you normally gravitate to? It's no secret by now that I'm a huge Colourpop lover. I have been one since I tried them for the first time almost 4 years ago. You would be hard pressed to find a single product of theirs that isn't great, or at least I am anyway. I'm officially an unofficial Colourpop spokesperson by now haha. 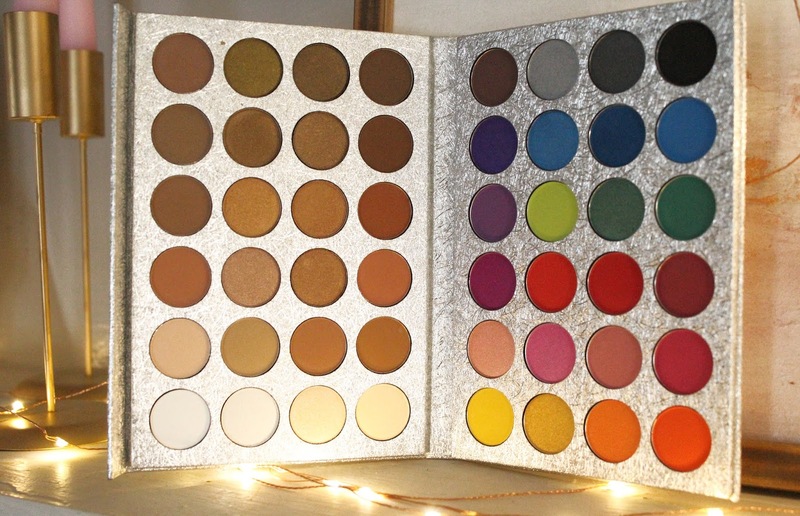 Z palettes gained popularity in the past couple of years and one of the reasons why is because it gives you the opportunity to customize your palette with the colors YOU want instead of having to accept what the brand picks for a palette and who doesn't want that? When I was placing my order, I bought the holographic large empty palette along with 4 single pressed powder shadows as a starting point to create my perfect palette. If you look at the photo of the palette, the ones I purchased are the largest four pans at the top left of the palette. The rest were smaller pans that I depotted from previous Colourpop palettes I own. The four shades I chose were On A Whimsy, Karat Cake, Anti-Matter, & Try Me. 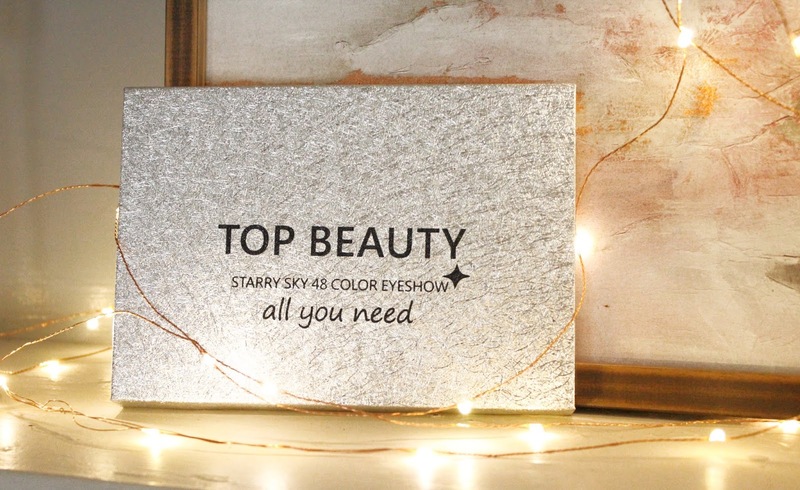 This shade is a beautiful icy grey shimmer shade. 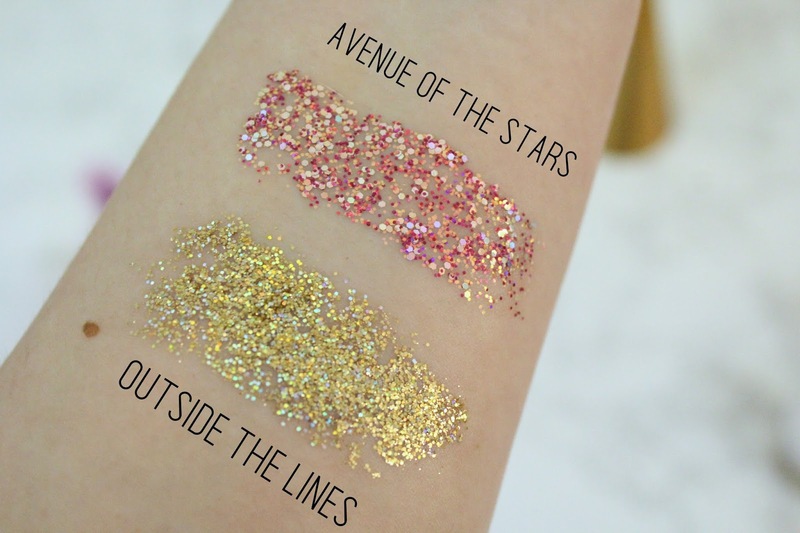 This shade is a gorgeous yellow gold shimmer shade. This shade is also a shimmer that's sort of a turquoisey blue with a purple undertone. At first glance, you would think try me is a rich purple shade but when you apply it, it goes on as more of an almost cranberry. It's very strange how deceiving it is from the pan but nonetheless is a beautiful matte shade. The next eye related product I got in my order was the new glitters Colourpop offers. I had been meaning to buy glitters for my collection for a while but wasn't sure where to look for the right ones, so when Colourpop released their own range, I knew that was a sign. 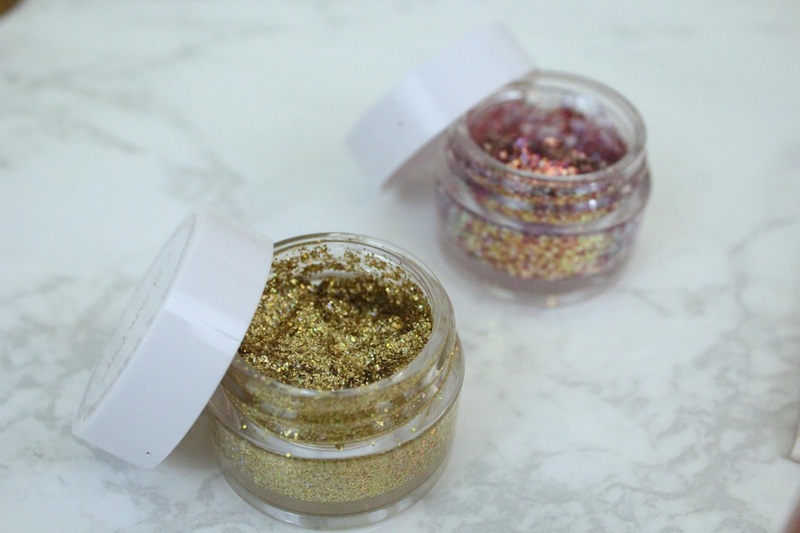 This glitter contains specks of gold, coral, purple, red, and pink. I also did notice that this glitter went on a little more "patchy" than the other glitter pot, but other than that, it's a beautiful glitter. Obviously, this glitter has specks of gold but also iridescent specks. As you can tell from the photo, this glitter applies more chunky than the other one. I think this would also pair really well with a nice shimmery eye. To end this post I want to talk about my newest discovery that literally is a discovery for me because of my stance on it before. I've tried lip glosses in the past and hated them because they were really sticky feeling and got stuck in my hair. 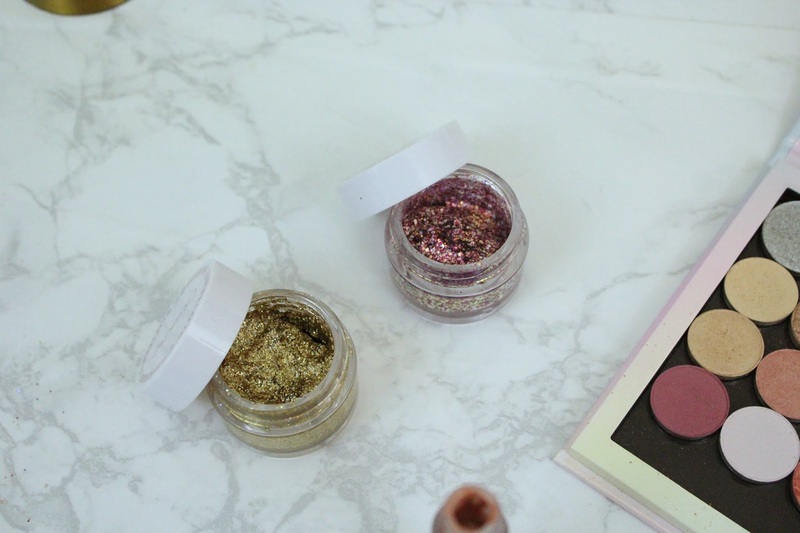 Enter, Colourpop's formula. For me, it's Sunday night and I'm lying in bed eating supper and writing this blog post. Today is officially my last "free" day before schools starts back but in staying true to one of my personal goals for the year of 2019, I'm making more of an effort to create more content for my blog. I've already batch shot for some upcoming posts, so be on the lookout for those! Over Christmas, I received some really nice presents and as you might've guessed some of them were makeup related. 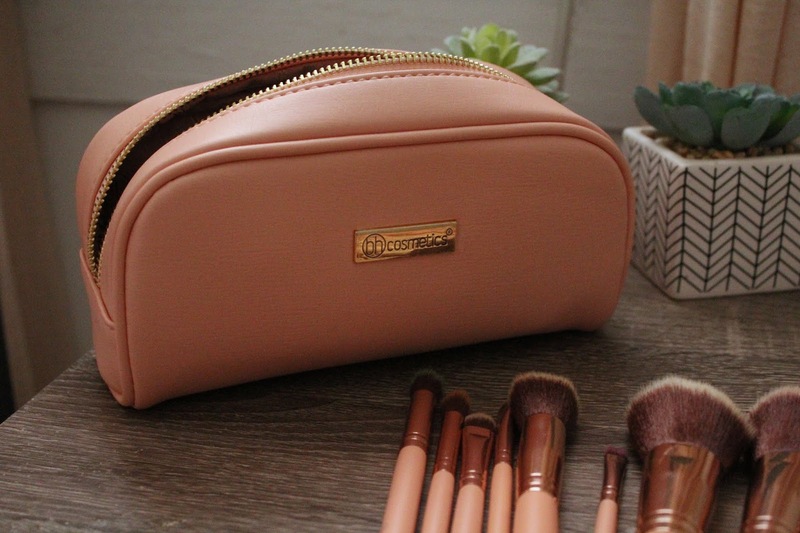 In particular, I had been eyeing a brush set for quite some time from BH Cosmetics. My mom, bless her soul, kindly got me the set for Christmas and it didn't take me long to put them to good use. I think what I love most about this brush set is how sturdy they all are. 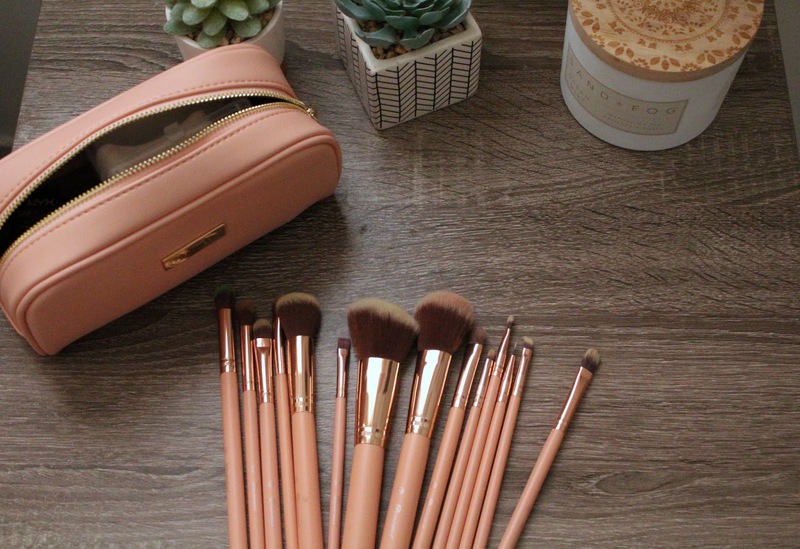 These brushes are not like those flimsy brushes you buy at the drugstore or on Amazon. They're really great quality for the price! This brush set is great for precise applications because each brush is dense and perfectly shaped. 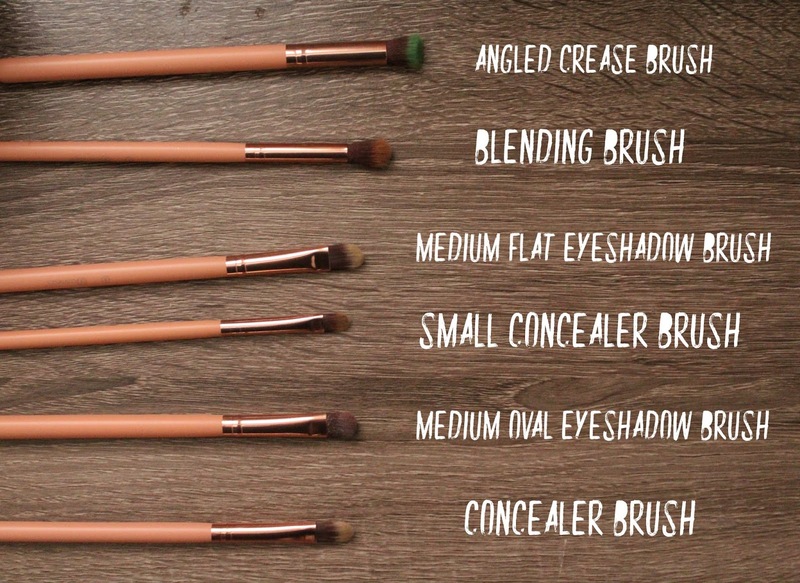 I personally like the medium oval eyeshadow brush because it's great for packing shades onto the lid as well as great for under the eyes too. The only brush I feel like could use some fine-tuning is the blending brush. It's a little too stiff for my liking but I feel like with more use it will loosen some. 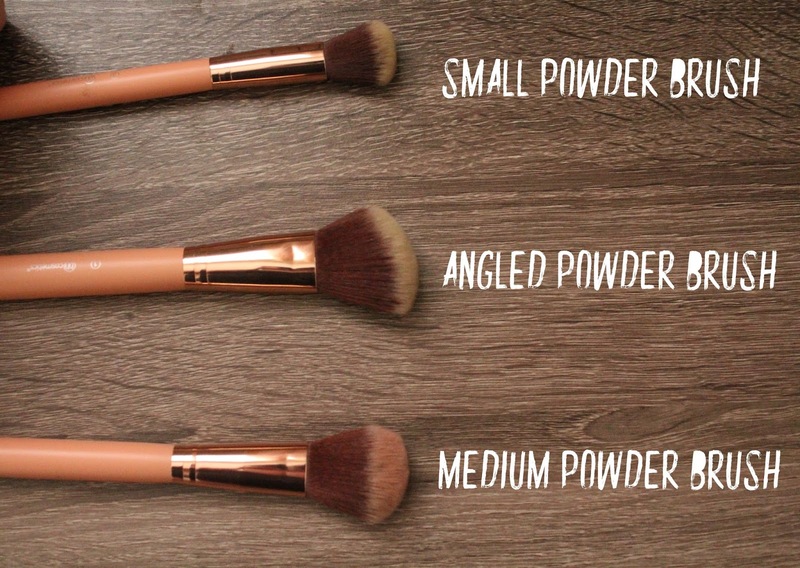 These brushes are multi-use and the best value set on the market! 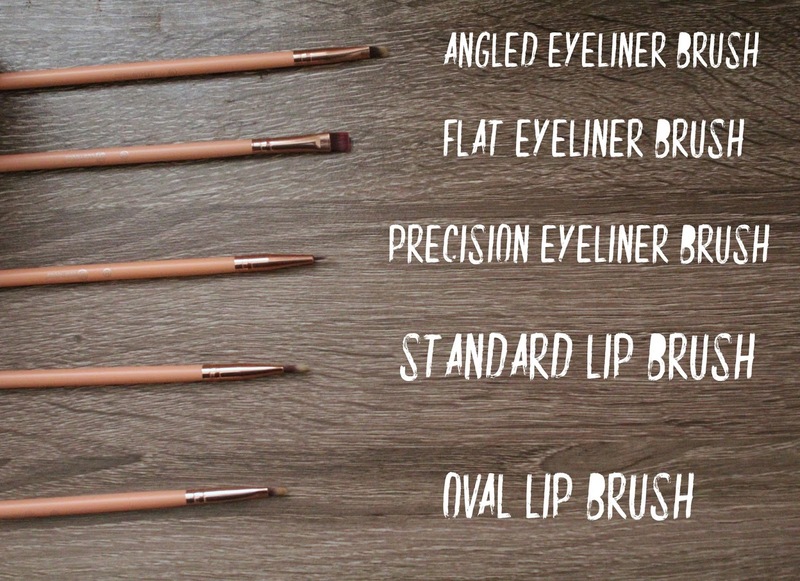 If you're thinking of buying a brush set, you definitely will want to check these out! You can find out more here. With another year drawing to a close I find myself trying to get my life more organized and wanting to clear all the clutter literally and metaphorically that 2018 brought me. I don't know what it is about the start of a new year, but for some reason it triggers organization goal setting in a lot of people. But before I do all that, I want to recap the year of 2018 for myself and my blog. It's unbelievable that I'm sitting here getting ready to recap the year of 2018! I don't even know where to start because this year was filled with many "crazy" moments. 2018 was the year I got really focused on my schooling and am inching that much closer to my career as an accountant. I trasnferred to a four year University this year and needless to say, things got a little more serious. School brought me a lot of stress this year and I felt like it was a little touch and go at one point. I pulled through thankfully, but this added stress meant less time blogging. Nonetheless, this year brought me so many beauty discoveries and I saw a small shift of what products excited me as well as a shift towards better ingredients. Not all products are created equal and cute packaging, for me, just doesn't cut it anymore. If you noticed from my latest blog post, one major shift in my thinking towards the beauty industry is what I allow on my skin these days. I never put much thought into the beauty products I put on my face before (aside from how beautiful they were) so I would literally put any and everything on my face. 2018 changed that for me because clean beauty has seeped more and more into my consciouness . I've seen numerous blog posts this past year as well as instagramers who tout clean beauty and it all feels very revelational. I also bought less new beauty products this year just because there have been so many launches this year that its hard to keep up and pretty packaging just doesn't appeal to me. In the past I've bought many a beauty product because I thought I couldn't "live" without it but if I had just done a little bit of introspection, I would've come to the realization that I only was drawn to it because of the packaging. Instead of doing my most popular posts from 2018, I thought I would recap my favorites because I don't really pay much attention to stats like that anyway lol. First I just want to say Thank You so much if you've been following my blog all these years! Your suuport means the world to me! For 2019, I hope to create more content and be more consistent with blog. Happy New Year!